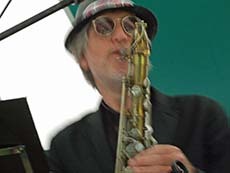 Jon Garvey has been active as a musician and freelance writer for over thirty years. As an instrumentalist he has played guitar, saxophone and occasionally other instruments both solo and in various bands, in the fields of folk, rock, blues and gospel. But principally he is a singer-songwriter in all these areas. With the advent of computer-based recording he has undertaken a series of solo projects using both new material and a back catalogue of over 150 songs and instrumental pieces, the fruits of which are available on this site. As a writer he has worked freelance and as a columnist mainly on medical, social and theological issues. A selection of his journalistic and theological/teaching work is here, as is his blog, The Hump of the Camel.